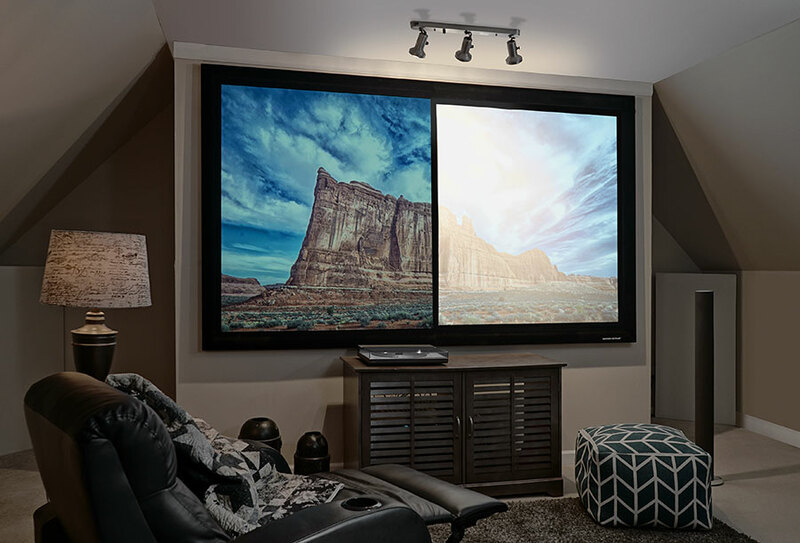 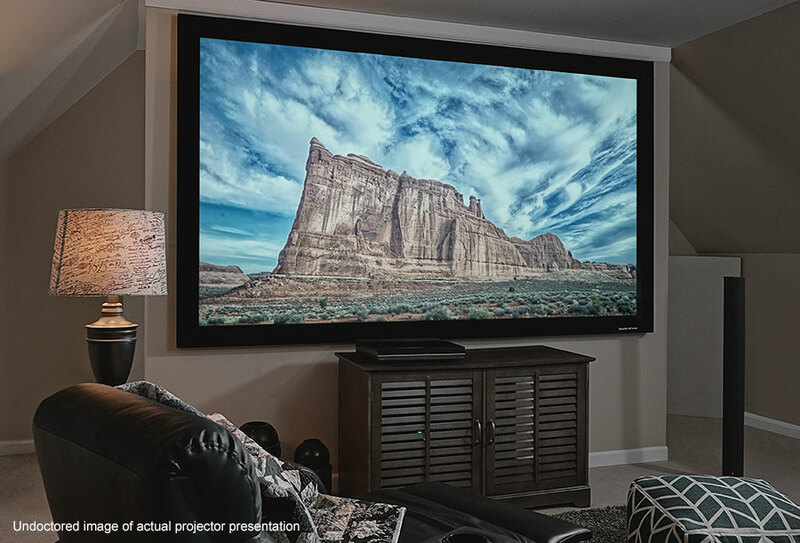 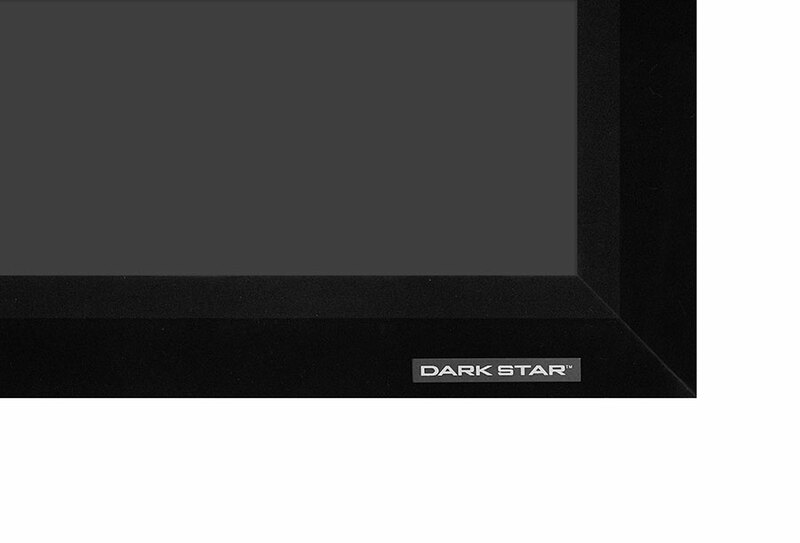 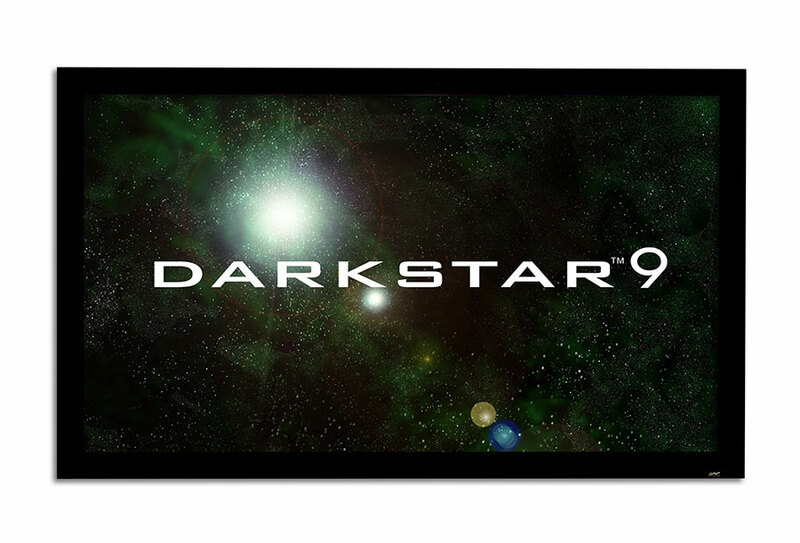 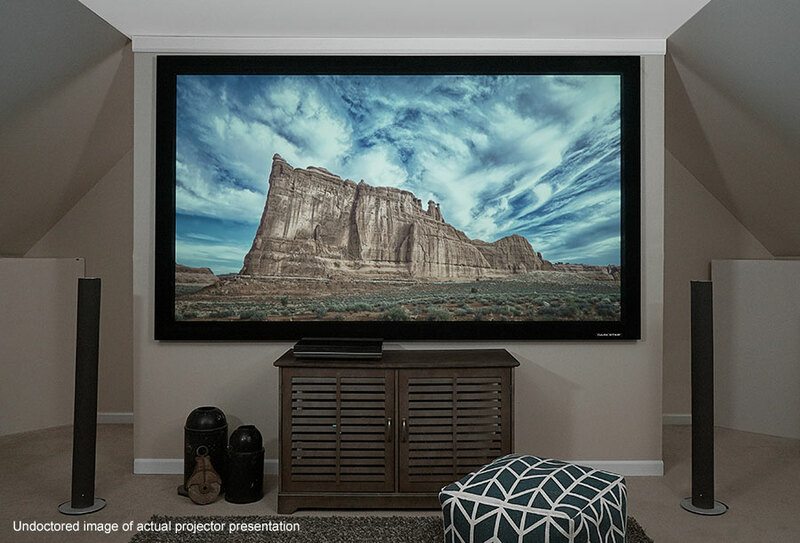 The DarkStar® 9 is Elite Prime Vision®’s newest Ambient Light Rejecting front projection screen. 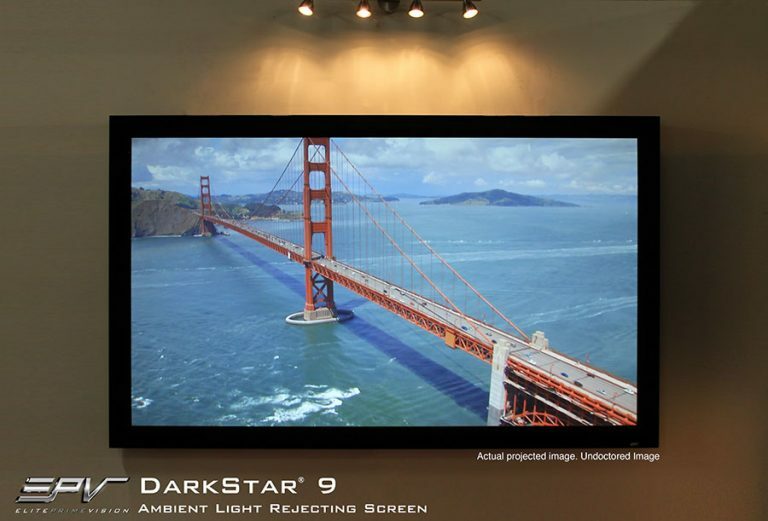 The DarkStar® 9 possesses very similar characteristics of our award winning 1.4 gain DarkStar® but now offers a wider viewing angle and a very close to unity gain without the compromise of ambient light rejection, contrast enhancement, resolution, and color accuracy. 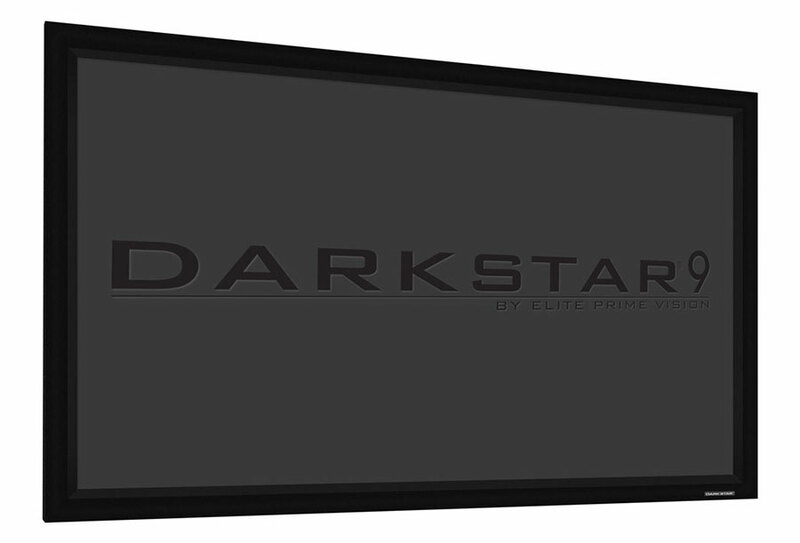 As opposed to the 1.4 gain material of the original DarkStar® material, the DarkStar® 9 tones down the reflective brightness to .9 gain so that it may further enhance color temperature to more optimal performance levels with a wider viewing angle. 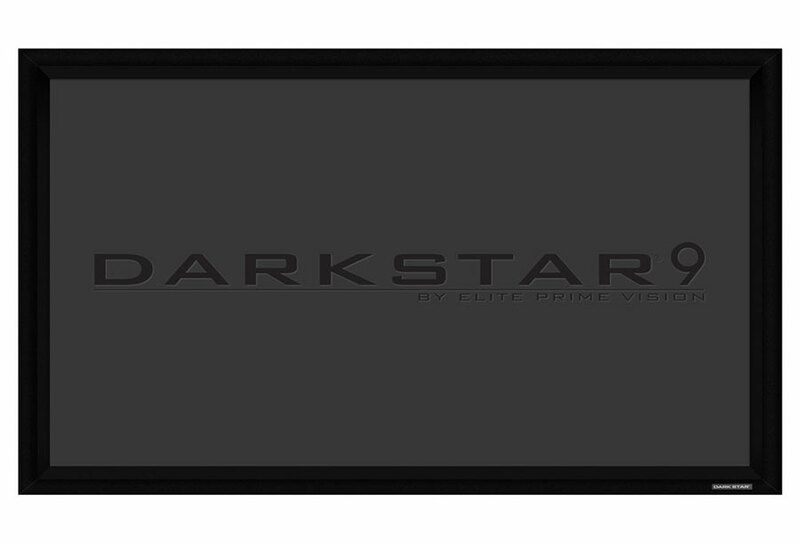 Although both DS materials boast D65 color neutrality, the DarkStar® 9 sacrifices the extra brightness to improve its color balance.